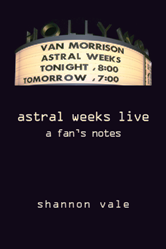 This entry was posted in Music, On the Road, Photographs and tagged belfast, dublin, Ireland, northern ireland, on the road, roots of van tour, van morrison on February 16, 2012 by shannon. This entry was posted in Music, On the Road, Photographs and tagged belfast, northern ireland, on the road, shana morrison, van morrison on February 15, 2012 by shannon. This entry was posted in On the Road, Photographs and tagged belfast, northern ireland, on the road, roots of van tour on February 7, 2012 by shannon. This entry was posted in On the Road, Photographs and tagged belfast, dublin, northern ireland, on the road, roots of van tour on February 6, 2012 by shannon. This entry was posted in On the Road, Photographs and tagged belfast, giants causeway, northern ireland, on the road on January 20, 2012 by shannon.